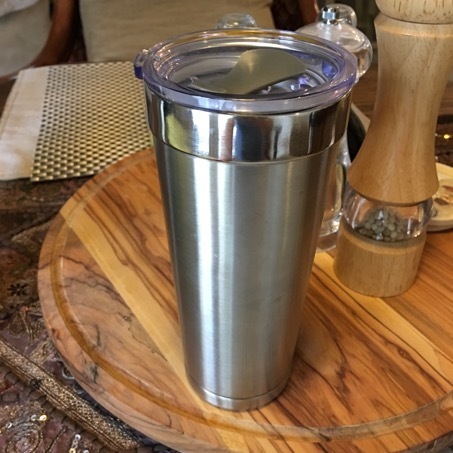 It seems like everywhere I look these days I see people drinking their cappuccino vodka lattes out of fancy-pants vacuum-sealed steel tumblers. Are they worth the asking price? On a recent trip to spend time with family in the midwest, my wife and I decided to jump on the bandwagon and bought ourselves a couple of these tumblers. Being drawn to different design aesthetics, she went with one made by YETI and I went with one made by Hydro Flask. Being rather competitive, we were constantly comparing how hot our drinks were during the course of the trip. 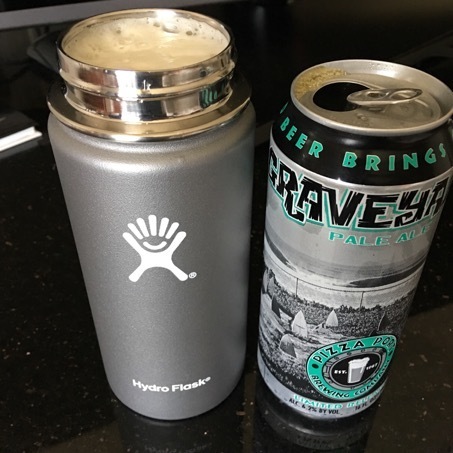 Then it hit me – why not do a head to head comparison of YETI vs Hydro Flask tumblers so others can benefit too? 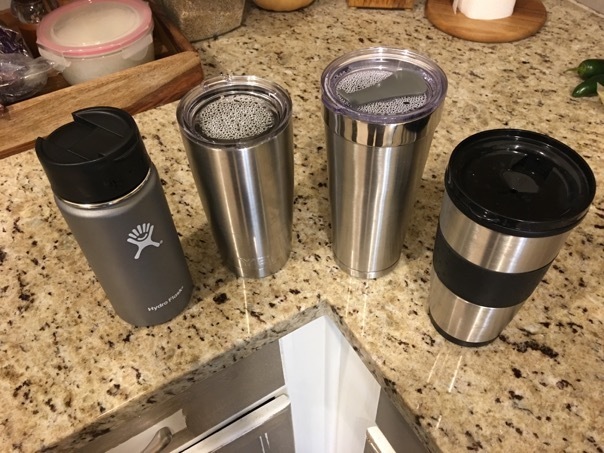 I could have taken the easy route and just done a simple YETI vs Hydro Flask comparison, but good science requires a control group. 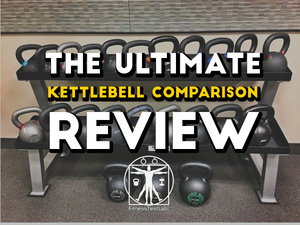 Both of these name brands command a higher price than their lesser known competition, but do they actually work better? Luckily, I have a couple of generic tumblers I can use as a control group. We will see if the money my wife and I spent on our pricey tumblers was worth it. Oh yes, we will most certainly see. YETI – arguably the most well known brand in the realm of vacuum-sealed tumblers. A company founded on a story of brotherhood, adversity, and a triumph of the human spirit. Or, a story of a quest for a cooler with handles that don’t break, whatever. 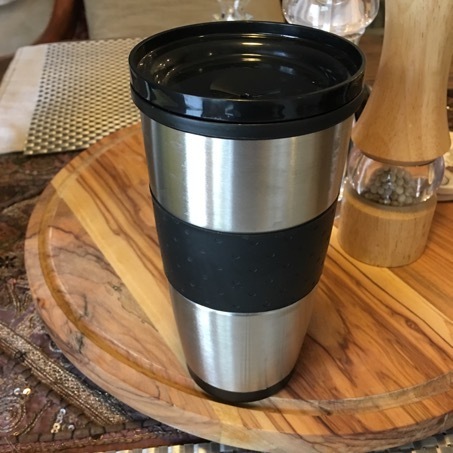 I’ll be testing my wife’s 20oz “Rambler” tumbler, which she uses mainly for coffee. The lid has a rubber gasket that allows for a snug fit inside the tumbler. However, the lid does not completely seal the container because it has a drinking hole in it that’s always open. This tumbler may ramble, but can it rumble? Next in the lineup is Hydro Flask, a scrappy up-and-comer looking to supplant YETI as the choice for keeping fluids at just the right temperature at your next hipster barbecue. This is my 16oz Wide-Mouth with Flip Lid, which I chose for two reasons. One, the flip lid seals the bottle completely so I can easily travel with this bottle without worrying about leakage. Two, 16oz is small enough to travel well but large enough to hold a full pint of beer if necessary. I’m not joking about the second reason – I used my bottle in a pinch to quaff a pint during a recent business-related trip to California. 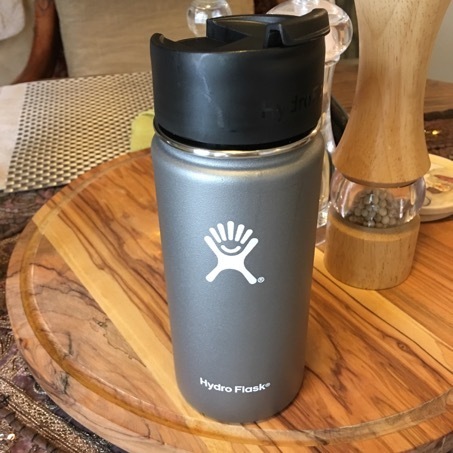 Is the Hydro Flask up to the hydro task? Next up is a generic vacuum-sealed 20oz steel tumbler, received as free work-branded schwag at the office. I know the cost because I helped pick the tumbler as gifts for the software team from a product catalog. Double wall 18/8 stainless steel thermal tumbler with copper vacuum insulation, high polish accent, and push-on acrylic swivel lid. Like the YETI, the lid has a rubber gasket on it that seals snugly into the container. 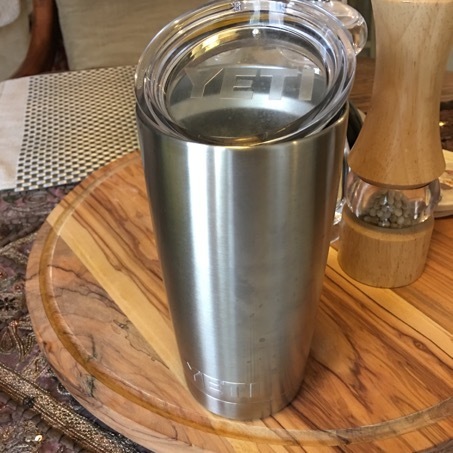 Unlike the YETI, this lid has a rotating cover for the drinking hole that seals the cup when not in use. Fun fact – the lid from this container fits perfectly in the YETI Rambler. Can this tumbler with no pedigree go the distance? Last but certainly not least, we have the generic plastic tumbler. This guy came as a freebie when my wife bought a new Hamilton Beach coffee maker. The outside of the tumbler looks like steel, but the inside lining is completely plastic. It’s not vacuum sealed at all, this is just a basic plastic liner cup in a steel shell. An air gap between the plastic liner and the steel exterior acts as the insulating layer. I’m including this tumbler as a control to see how a vacuum-sealed insulator compares to a typical air gap insulator. 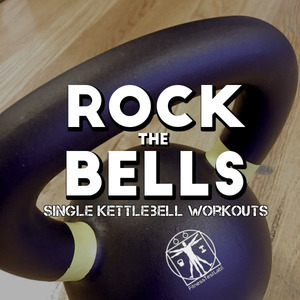 Will this freebie remain a black sheep or prove to be a dark horse? Enough talk. 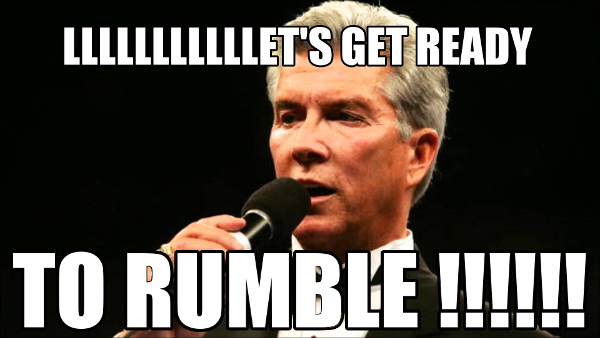 Time to fight! The water from the kettle was nearly 200ºF before I poured it into the tumblers. 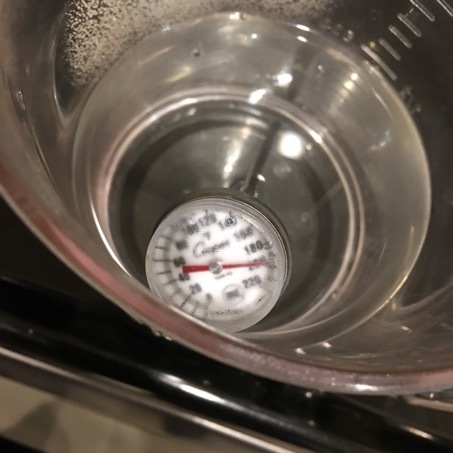 I took the first water temperature measurement in the tumblers immediately after pouring hot water into each one. 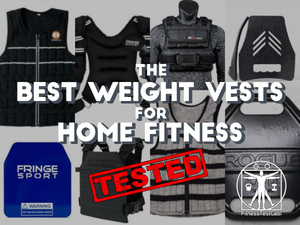 I noted a uniform 20º drop in temperature, which is a hefty amount of heat loss. I attribute the sizable loss to the tumblers being at room temperature before the pour – the water had to transfer some heat to the containers to get to an equilibrium point. Once the experiment was underway, I performed a series of water temperature measurements once every hour. As can be seen from the graph below, the steel tumblers all kept close pace with each other over the duration of the experiment. 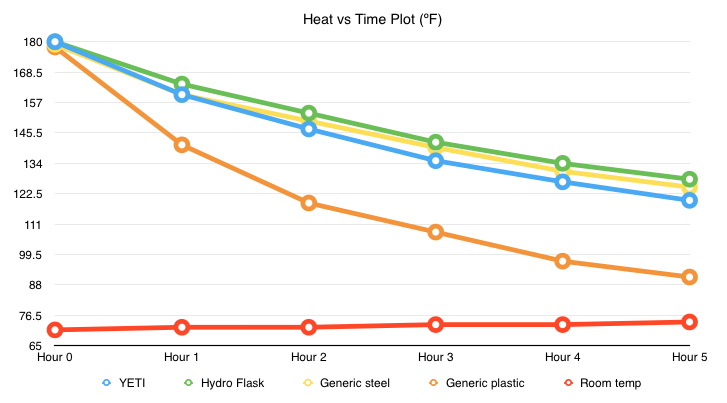 As I expected, the plastic tumbler had a much more drastic temperature decline than the rest. The tumbler with the lid that sealed completely performed best, followed by the tumbler with the lid that partially sealed. This makes sense – heat rises as steam in a liquid, which can more easily escape an unsealed container. In a sealed container, heat escapes at a slower rate through thermal conductivity. 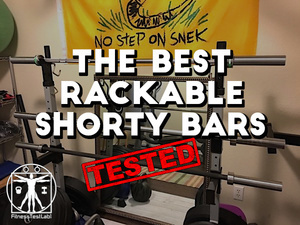 The steel tumblers all performed well, but not incredibly well. By hour two, all three had allowed a nearly 30º temperature drop. By hour five, the liquid in all three was 50º less than the starting temperature. This is a steep decline, even allowing for the initial 20º temperature drop mentioned previously. If you want to avoid this kind of temperature drop at home, pour hot water into your tumbler to heat it up first. Throw the water out after 10-15 seconds, then pour your hot drink in the tumbler. It’s a hassle to heat up and discard the extra water but you’ll see much less initial heat loss. I didn’t bother to perform the same test with cold liquids. I’m reasonably sure that since cold sinks, all the vacuum-sealed containers would perform equally well. 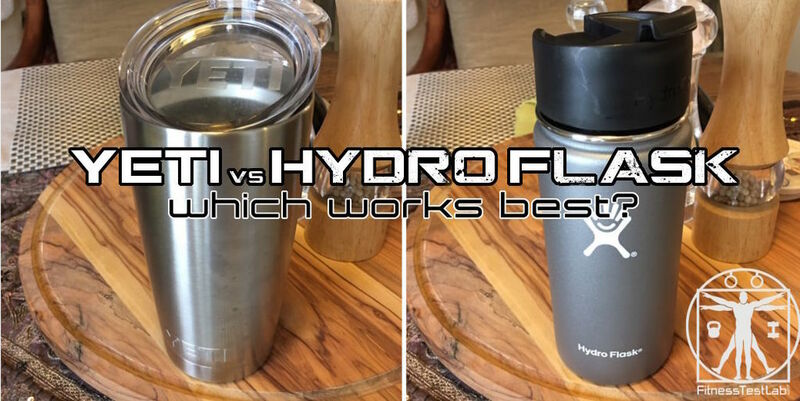 The results of this experiment clearly demonstrate in a comparison between YETI vs Hydro Flask, both brands perform equally well, although Hydro Flask has a slight edge because of the completely sealed lid. 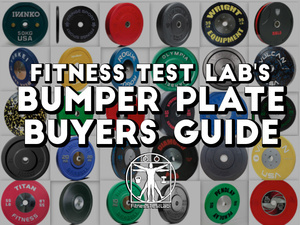 Ultimately, the choice between the two comes down to your preference in aesthetics and lid type. Surprisingly, the generic no-name brand steel tumbler performed just as well as the YETI and Hydro Flask tumblers. 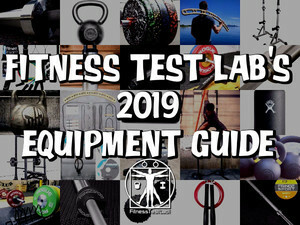 Considering how expensive YETI vs Hydro Flask tumblers are, you may want to consider one of the many lower-cost alternatives. I do love my Hydro Flask bottle, but if I ever need to buy another I’ll be going with one of the options listed below. 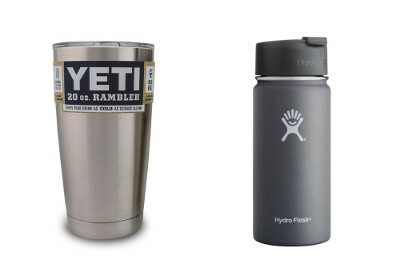 Do you own a YETI, Hydro Flask, or other brand? Sound off in the comments, I’d like to know what you think of them.